There are a handful of Turkish restaurants in San Francisco, but Lokma rises to the top of the pile. Located in the Outer Richmond’s foggy basin, this quaint restaurant serves Turkish cuisine with a California flare in a cozy, yet vibrant, space. The word lokma means “mouthful” in Turkish, but it also refers to the bite-sized treats of fried sweet dough covered in a simple syrup that are commonly found in Western Turkey. 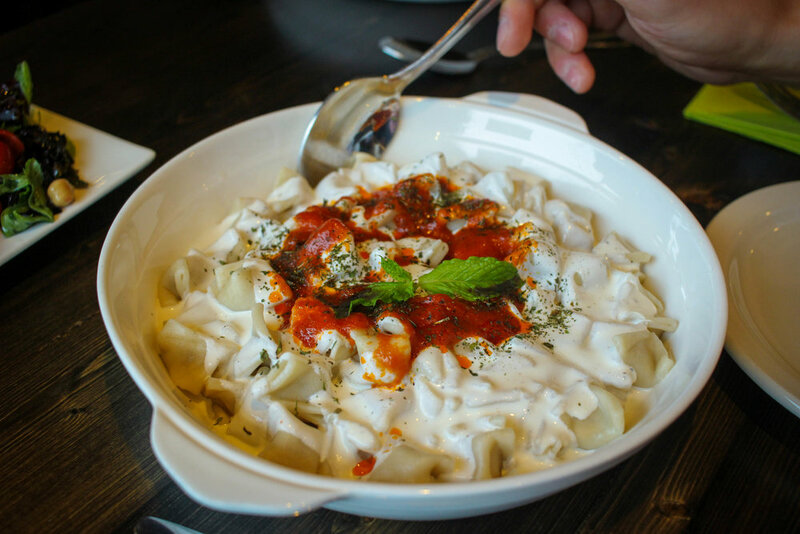 This tasty delight is a staple for special occasions in Turkey, so it is seemingly appropriate to name this restaurant after something that brings delight and honors tender moments. Greeted by kind service and a menu full of only deliciousness, I was lucky to dine here with my dear friend and owner of Gourmet Walks (Fun Foodie Tours in San Francisco) where he helped me by selecting some of his favorite dishes - though you can’t go wrong here. We started our meal with a watermelon salad paired with feta, cucumber, cherry tomatoes & olive oil. Simple and yet full of flavor, this well-balanced summer salad transported me to the Bosphorus. 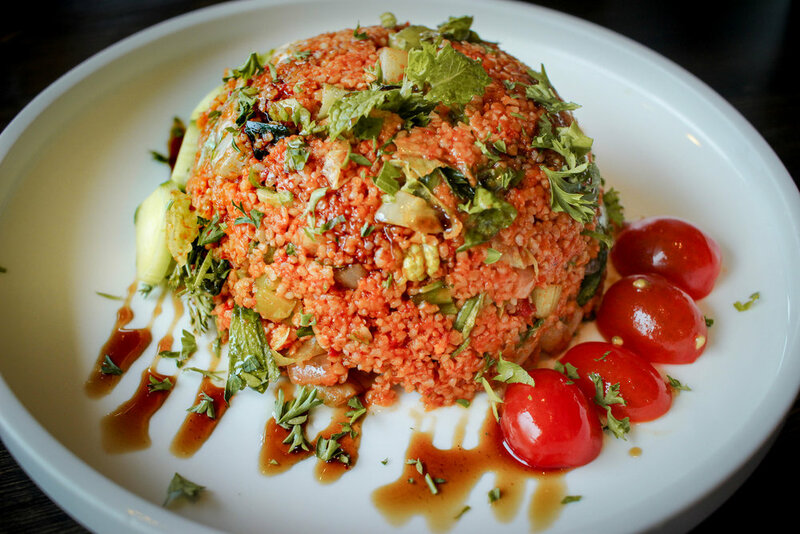 Next we shared the kisir, which is a traditional bulgur salad tossed with parsley, tomato paste, cucumber and pomegranate molasses. This hearty, grain-based salad had so much depth in flavor and texture that I couldn’t resist taking one bite after the next. 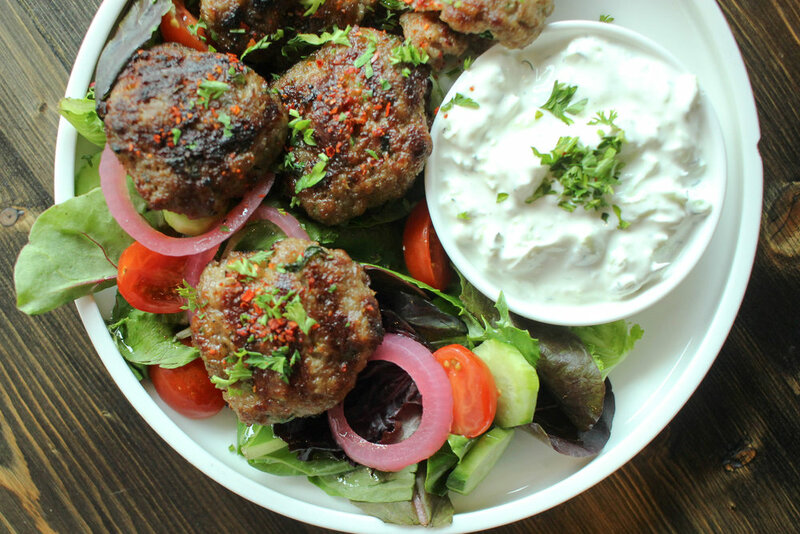 We also shared the grilled lamb meatballs served with cucumber yogurt sauce. While lamb may no longer be the most popular meat in Turkey, grilled lamb remains a celebrated staple in Turkish cuisine. Turkish food draws influence from its neighboring countries (and vice versa) that were also once a part of the Ottoman Empire, namely Southeast Europe (Balkans), Central Europe, and Western Europe. The manti, or Turkish dumplings, that we shared here reminded me of pelmeni (Eastern European meat dumplings), but with a unique twist. These housemade and hand-shaped dumplings are filled with ground beef. After boiled, they are served with garlic yogurt and a tomato butter sauce. Comfort food at its greatest, this dish is unparalleled to anything else I’ve eaten in San Francisco. The turlu and cous cous, a Turkish Ratatouille of sorts, had a pearled texture with a creamy, vegetarian sauce. The lemon added some acidity to brighten the dish and balance the richness of the sauce. Another standout dish was the grilled branzino. From head to fin, this grilled fish came out so tender that we picked it clean. We finished off our meal with a sweet treat that actually got me very excited for the brunch offerings here - I will be back for that! 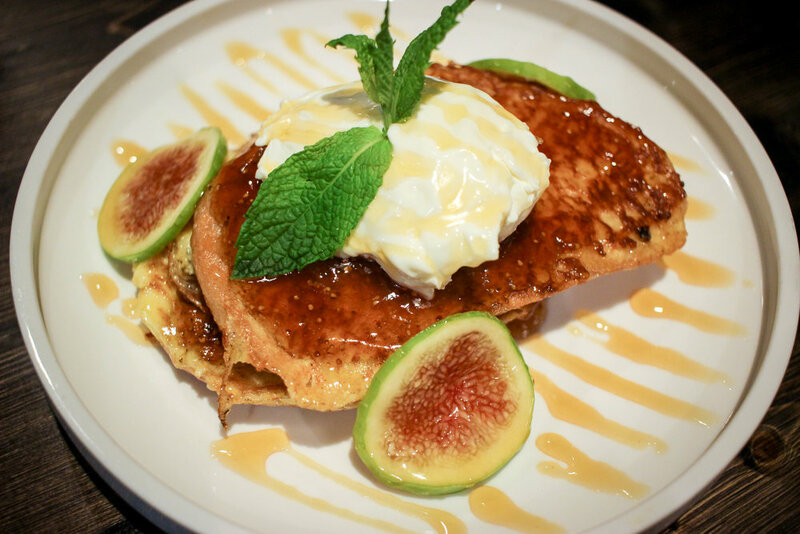 We shared the fig french toast with kaymak, a clotted cream that basically tastes like a better and sweeter version of butter. 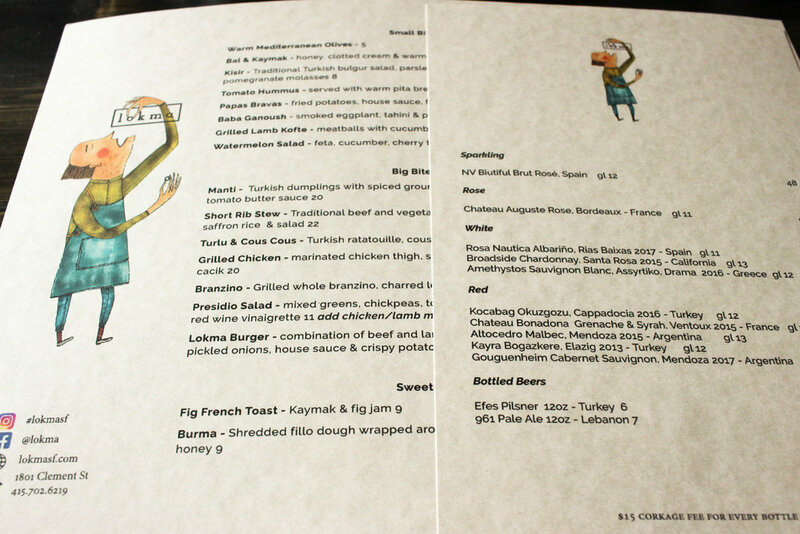 I am excited to come back and explore the rest of the menu, as well as taste some of these comforting dishes again. To learn more about other incredible food destinations in San Francisco or Napa, be sure to sign up for a Gourmet Walks food tour!